Note: This is a Limited Edition of Painting Deals. 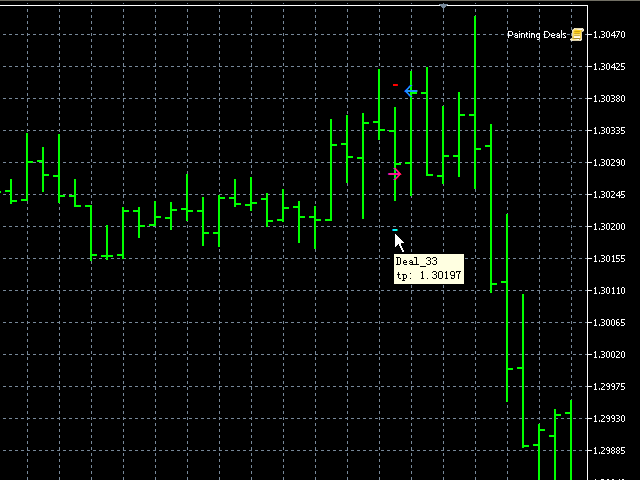 It works only on EURUSD H1 chart. Right Arrow means In and In/Out deals.